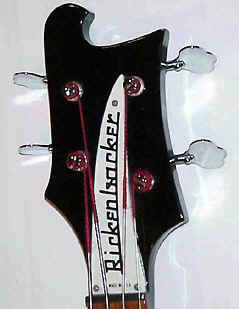 This is the first Rickenbacker bass. Introduced in 1957. Double tross rods. 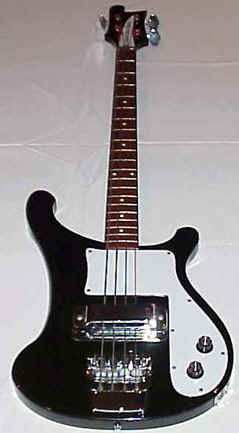 The first Model 4000 had a horseshoe pickup. 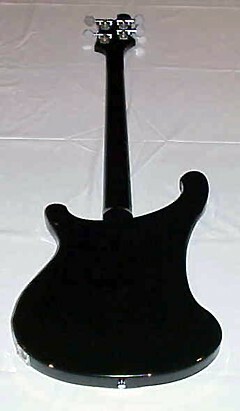 The modern model 4000 had an under-string pickup (as shown here). Two control knobs, mono output, fingerboard with dots. There was at least one model 4000 made with DeLuxe features such as tringular inlays and a full neck/body binding. 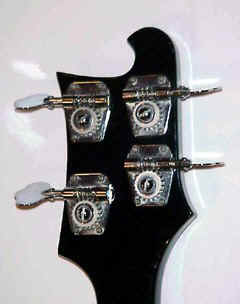 By late '57 the bass was equipped with a string mute built into the bridge coverplate which was movable. In the normal position the string were ringing clearly but by moving it forward it muted the strings. Mr Hall called this a "bass viol effect". This model was in production until 1984.